What is a Montessori Nursery? Located on a large site on the outskirts of St. Michael’s, Tenterden and housed in a beautiful oak framed purpose built nursery building. We are home to the ‘Puddle Duck Day Care‘ our Infant Community for children from 3 months to 2 years, our ‘Duckling Room‘ for children from 2 years and the ‘Gosling Room‘ Groups for children from 3 years of age. The nursery follows the Montessori method of education for young children, as well as incorporating, respecting and using ideas from other important theorists. We use a variety of other suitable games and tools to enhance and further the development of the children attending, ensuring that they have fun whilst they learn. Whilst the children are split into groups by age for the purpose of organisation, they all mix and spend time with each other to encourage caring and nurturing amongst the different ages. By basing our activities on the Montessori Method of Education we aim to help each child fulfil their true potential. The Montessori environment is stimulating and challenging and allows each child to develop naturally at their own pace. The whole environment is “prepared” for the child, with everything within their reach ready for exploration. By following the Montessori Method of Education children are given every opportunity to fulfil their potential both socially and academically. It is our aim to help the children develop into confident, independent, well balanced “little people”, who are ready to embrace the challenges offered to them when they enter primary education and beyond. Each room provides a “family within a nursery” and has regular staff who provide continuity and security for the children attending. 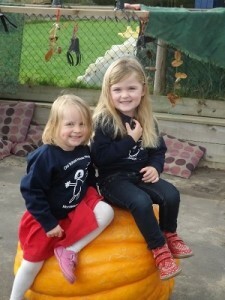 Our nursery is lead by highly qualified and Montessori trained staff, who in turn are supported and guided by our Graduate management team, including an Early Years Professional and a Qualified Teacher, who between them have many years of experience of working with and supporting young children’s learning and development. We are updating our News – Stay tuned. Download our latest Ofsted report.